Moving tips or moving checklist help you have a stress-free moving day. There are many moving tips or moving checklist on the internet that provide guidance before your moving process, or scheduling your moving day. However, some are complicated, containing fancy comments, that increase your moving expenses. On the other hand, some moving tips don’t come from moving companies that have experienced all the challenges. We share the challenges we have experienced directly or heard from our other co-workers. Let’s start with the very first step. 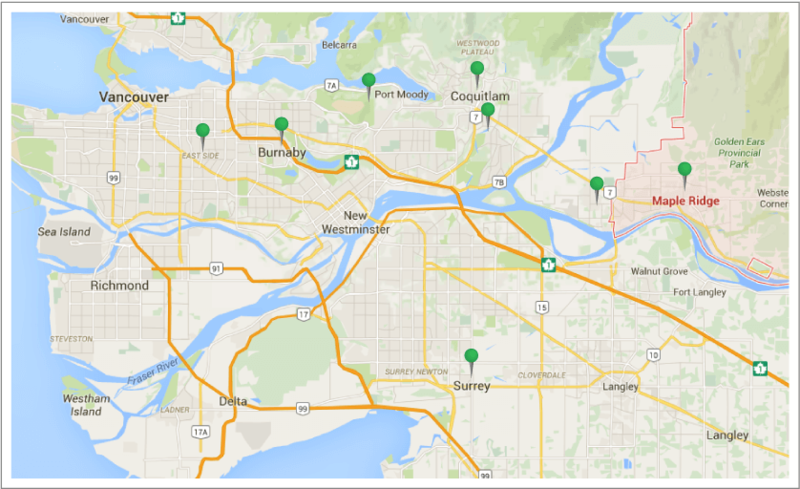 HOW CAN YOU CHOOSE REPUTABLE MOVERS IN LOWER MAINLAND B.C. AND THE SURROUNDING AREAS? It is very important that you provide all the details on your moving checklist for your moving company. For example, imagine you provide comprehensive information, yet you forgot to mention your piano. Then, on the day of the move, your company arrives with no piano pallet. Another example is that your loading zone might have height restrictions, and you forgot to inform your them. Consequently, they may send you a high cube van that cannot fit the loading zone. After choosing the right moving company, implement their moving tips if they seem reasonable. For example, if you are moving a lot of boxes, and either your current location or destination has many stairs, we advise our clients to hire more than 2 or 3 movers. Basically, it is optimal to restrict the move to 6-7 hours. After lifting heavy items for six to seven hours, the movers will be exhausted and unable to work efficiently. Therefore, particularly in large moves, we recommend making all arrangement in person. That way, they can coordinate the appropriate moving truck, several movers, and other details. Most Vancouver moving companies bill hourly. As a result, any measure to decrease the time decreases your moving bill. For example, unpacked miscellaneous items always increase the moving time and the moving cost for several reasons. Movers cannot use their hand truck or dolly properly as the items are loose. As a result, they need to carry them separately which takes more time than necessary. The packer inside the truck spends more time securing them to avoid damage. Separate and remove and get rid of all unwanted items or material. Moving unwanted items increase the time of your move and moving expenses, as a result. Apart from damage, heavy boxes tire the movers quickly, and decrease the mover’s efficiency and speed, as a result. Use small boxes for dense items like books, and larger boxes for lighter items like clothes. Tape and secure all your moving boxes. This prevents losing any small items. It also helps the movers stack, carry, and pack the boxes faster and easier. Color coding is one of the most important points on your moving checklist. By color coding your boxes and bags, the movers will know where to place them at the destination, immediately. For example, please notify the building manager ahead of time when moving out of or into strata. If the building manager is not properly notified, the move is delayed until permission is granted. While the client is unable to move, they are still paying the movers while they wait. Many buildings require the elevator is reserved ahead of time. Failure to do so results in hefty fines in many strata. Use our free plastic moving boxes to make your move much easier, which are free of charge, to make your move extremely easy. Yes, we do not charge a cent, they are free for our clients. Pack fragile items like dishes with wrapping or packing paper, bubble wrap, cardboard, or simply pack them in their original boxes. Avoid using newspaper for packing as it leaves mark on the dishes or items. Place very delicate items in the middle of boxes to avoid any possible damage on the side of your moving boxes. To balance the weight of your moving boxes, pack clothes and fragile items in the same box. On one hand, it helps you to balance the weight of the moving boxes. On the other hand, it is a cheap method to protect your fragile items. Sometimes people move their small items and hire a moving company to just move furniture. In these cases, try not to block the mover’s path by placing the small items in their way. Do not water your plants for two days prior to your move if it doesn’t harm the plant. Firstly, the water may leak when moving the plant. Secondly, in bigger plants, it makes them heavier and harder to transport. We have seen one of our clients pack his cell phone also their car key in rush at the very last minute. You can leave especially your phone and car key in a secure place that you can have it when you are going to your new place. On day time-saving dates, make sure you are on the same page with all moving companies and especially your building concierge. It is important to place the liquids together and mark the box as “LIQUID” and show the top direction with arrow sign. Also, before placing the liquid bottles, make sure their lids are tight and the bottles covered with an extra layer of packing tape or stretch wrap. Liquid leaks may make mark furniture or even cause irreparable damage. For example, imagine bleach leaks on your beautiful fabric couch. We at Metro Vancouver Movers, start removing pictures and painting especially ones that are on the way. However, try to remove your painting, picture, or mirror from the wall. We especially recommend you remove their hook and nails from the wall to avoid any injuries when moving. We strongly recommend you clean and dry your barbecue before the moving day. As you know, barbecues contain liquid fat and dirt that might stain your carpet when moving. We, at Metro Vancouver Movers, cover the carpet when moving. But, leaking greasy liquid from the barbecue may sometimes even seep through the carpet cover and leave a stain. A couple of days before your moving day, especially in the summertime, prepare ice gel packs and place them in your freezer. These will help keep your food cool on moving day. Also, try to keep a plastic cooler handy and fill it with food and ice gel packs right before pick-up. The movers will load it last, so it is one of the first items unloaded at the destination. That way, you can place them in the refrigerator or freezer as soon as possible. How to move houses without stress?